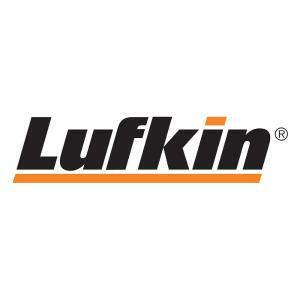 The new Lufkin Gauging Tapes feature completely redesigned handles, handle bolts and turning knobs. Longer and fuller handles offer a more secure grip and help user balance the tool. The turning knob design is a industry first and provides a larger contact area between your fingers and the textured surface of the knob. This ensures a more secure grip and lessens hand fatigue, even with repetitive use. In addition these tapes are line wiper ready. The front handle has an adjusted front diameter and longer handle bolt to fit perfectly into popular tape wipers. Tbook.com crawls the web to find the best prices and availability on Tape Measures and related Tools and Hardware products like Lufkin 1/2 inch x 75 ft. Oil Gauging Tape Measure Atlas Chrome Clad /Nubian Double Duty. For this page, related items include products we find that match the following keywords: "Tape Measure" at our vendor partner Home Depot. Lufkin 1/2 inch x 75 ft. Oil Gauging Tape Measure Atlas Chrome Clad /Nubian Double Duty is one of 111 Tape Measures and related products listed in the Tools and Hardware section of Tbook.com If you have any questions on this product, please give us a call at 734-971-1210 during the hours of 9am - 5pm EST for assistance. Thank you for shopping at Tbook.com, the Internet Department Store!